What is Karbala? Karbala is not just for Muharram and Safar. Karbala is the revolution of all revolutions. Karbala is for every day, everywhere and everyone. How hard have we tried to understand this revolution? 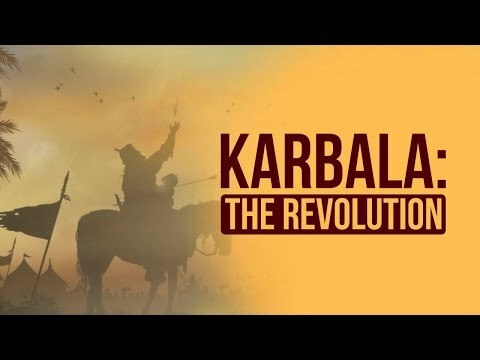 Documentary - What is Karbala & Ashura - English. A great documentary about the Sacrifice of Imam Hussain (a.s) and his family (a.s). Why is that we remember that incidence? What was this about? Why did Imam Hussain (a.s) sacrificed his family and himself? This documentary will answer a lot of the questions people have in their minds. The story of Karbala and Ashura is narrated along with historical facts making it very helpful for kids, non-muslims and new converts to understand Islam in the light of Karbala. Millions of Shia Muslims from across the world have flocked to Iraq\'s holy city of Karbala to hold mourning ceremonies marking Arba\'een. Arba\'een marks the 40th day since the martyrdom anniversary of Imam Hussein, Prophet Mohammed\'s grandson and the third Shia imam. Security is tight in Karbala and other cities across Iraq. Authorities estimate that some 15 million people have braved the cold and deadly violence to attend Arba\'een ceremonies. Dozens of pilgrims have so far lost their lives in multiple terrorist attacks in recent days. Episode 5 of the ground-breaking new film following the journey of five students as they make their way to the Holy land of Karbala. The journey continues. Due to the harsh weather, the food and the physical exertion, one of the students falls sick and they have barely completed half the walk. Despite their exhaustion from walking all day in the heat of Iraq amongst the bustling crowds, the students manage to rise for their prayers. Will they be able to continue their journey while one of their friends has fallen ill? Will they leave him behind? Or will the blessings of Allah, for the sake of Imam Husayn, spur them on? This episode captures the tiresome walk as they students continue on their journey, as well as the profound selflessness of the Iraqi people in their attempts to make the foreign pilgrims feel welcome. What is it about the ancient city of Karbala that captivates Muslims? What makes approximately 30 million people travel there each year? The ziarat [pilgrimage] to Karbala is considered a sacred journey for Muslims across the world, especially the followers of Ahlulbayt (as). Every week, Islamic Pulse will be releasing two episodes of ‘When He Calls’ by the will of God, so stay tuned! Around the world Shia Muslims are commemorating Arbaeen: the 40th day since the martyrdom anniversary of the grandson of Prophet Mohammad and the third Shia Imam. Millions of people from across the globe have gathered in the holy Iraqi city of Karbala, the resting place of Imam Hussein. Officials estimate that some 15 million pilgrims are attending the ceremonies despite deadly violence by extremist groups. 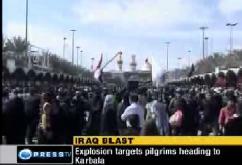 Dozens of pilgrims have been killed in recent days in terrorist attacks despite tight security measures across Iraq. Similar ceremonies are held in other Muslim countries including Iran, Lebanon and Pakistan. Imam Hussein and 72 of his companions were martyred in the Battle of Karbala in the seventh century. 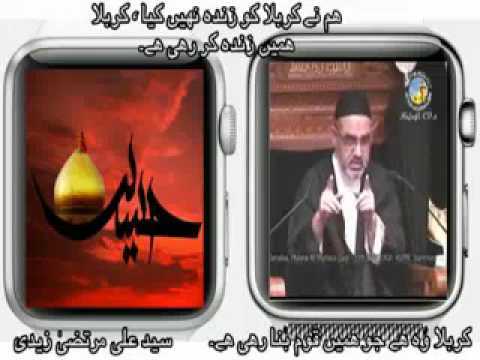 What is this movement of Karbala? What relationship does it have with our Nafs. What is the natural outcome of being attached to Karbala?